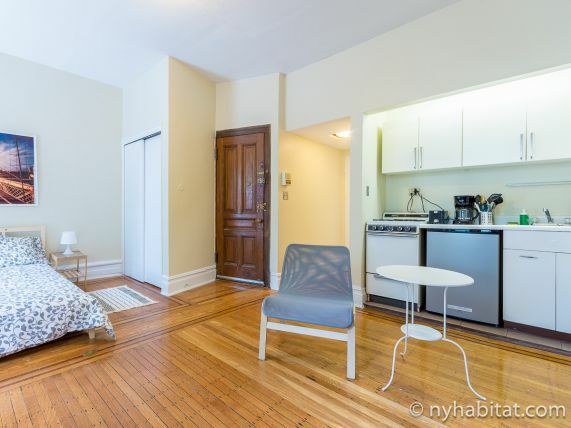 Experience the Manhattan lifestyle from this studio furnished apartment. 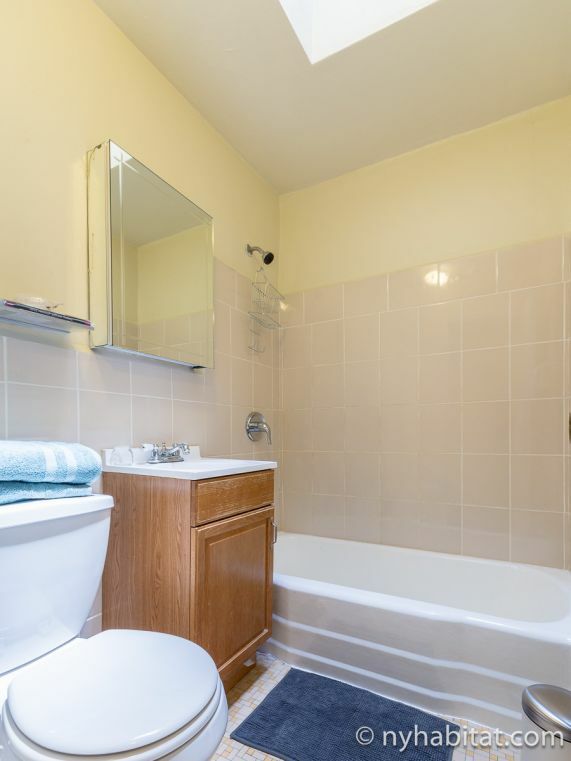 Located in the heart of the Upper West Side in Manhattan, this apartment is situated on the fourth floor (considered 3rd by Europeans) of a four-story Townhouse. There is an intercom security system and a lovely private balcony for your enjoyment. 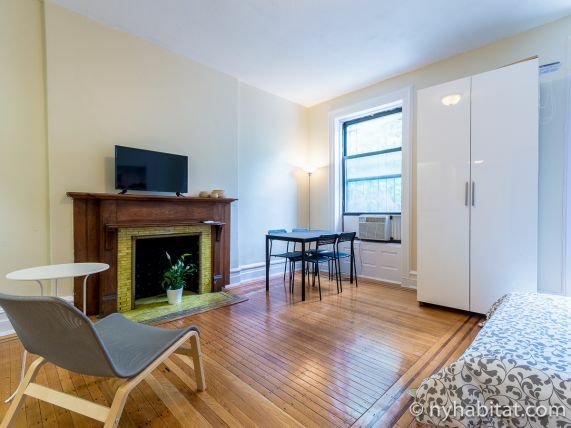 Lined with original hardwood floors, this furnished studio apartment has a flat screen television with cable, two windows that allow natural sunlight to brighten the room and an equipped kitchen. The decorative antique fireplace is a nice touch to the modern décor and contemporary style of the apartment. The private balcony has southern views of the courtyard and is a great place to get some quick fresh air. 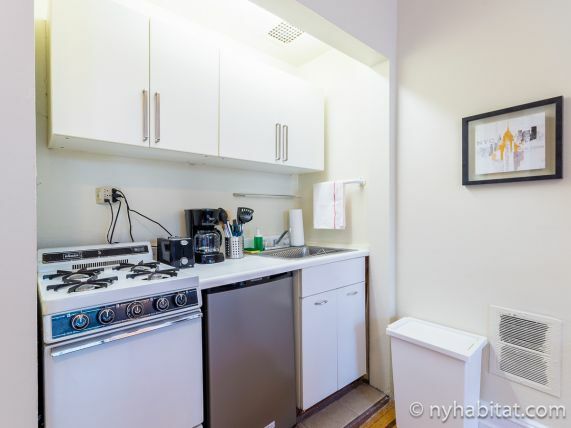 The owner of this apartment will be happy to provide you with maps, menus, neighborhood tips and recommendations to ensure your stay in New York is exceptional. 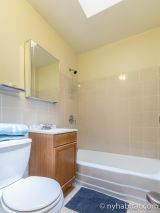 Situated on West 88th Street and Columbus Avenue, this apartment is in the heart of the Upper West Side. 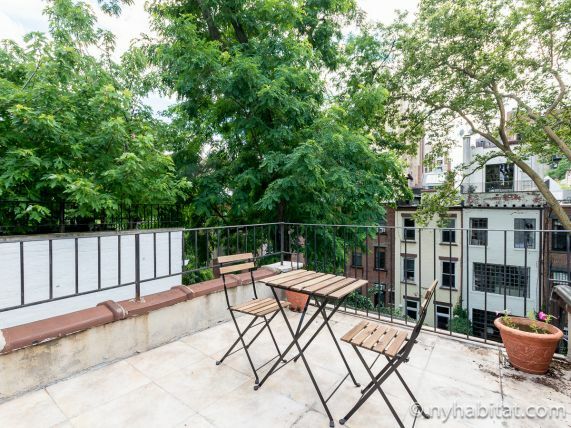 Filled with great eateries, various attractions and different parks, this neighborhood in Manhattan is a great place to live. Just one avenue west from the famous Central Park (0.3mi/480m), you will be able to spend relaxing days outdoors all year round! 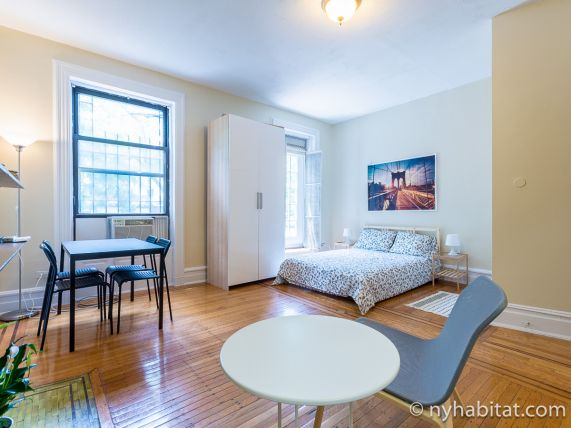 If you enjoy visiting museums, this apartment is only 6 blocks north of the Museum of Natural History (0.5mi/805m), and you can even cross Central Park and go to Museum Mile (1.4mi/2.2km) for many more options! There are many boutiques and shopping locations in this area as well as restaurants and cafes. If you enjoy dining out, you can go to Kefi (0.2mi/320m) on Columbus Avenue for Mediterranean cuisine, or if you prefer a quick cup of coffee the family owned coffee place from Philadelphia and New York, Joe (0.2mi/320m) is nearby. Of course if you prefer to cook at home you can go to the local grocery store, D’Agostino Supermarket (0.2mi/320m), on Columbus Avenue and 91st Street. 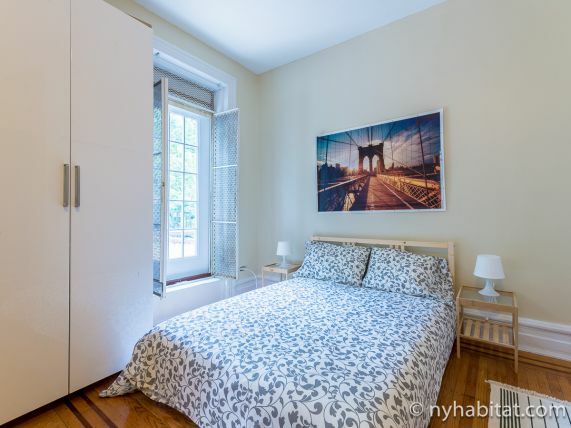 There are many perks of living in the Upper West Side in New York City, but you might find yourself needing to travel to other areas of the big apple as well. 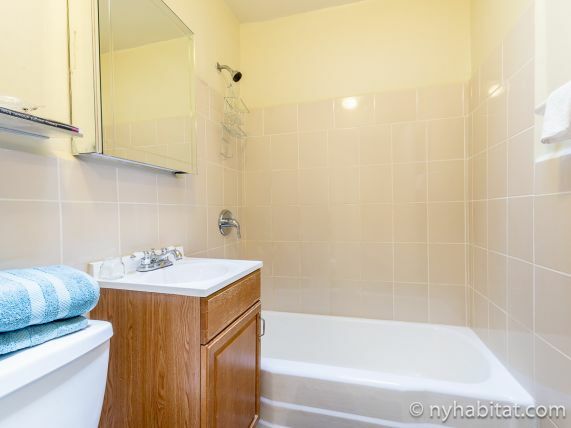 Luckily for you, this studio apartment is situated just one avenue from two different subway stations. From the station on 86th and Broadway, you will have access to the 1 line, and from the station 86th and Central Park west you can access the B or C line. Start living like a true New Yorker! All utilities included; $150 exit cleaning fee.